How to return to the land after sixty years of war in Colombia? More than four hundred social leaders in Colombia have been killed in the last two years in the context of peacebuilding, however, the dream of peace is standing on the shoulders of giants. However, in the war-torn (or, war-affected) territories, the communities developed inspiring strategies to fight against the murder (or extrajudicial killing) and create collective alternatives of peace to live in their lands. There is the case of the important initiatives of the communities in the country like the Humanitarian Zones and Peace Communities in Chocó and Urabá. 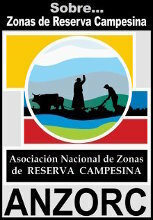 In addition, the Indigenous Resguardos (Reservations)  and Collective Territories of Black Communities , are known in the country as special peace territories symbol. These communities that suffered during the war are the same communities that support the peace treaty and give hope to Colombia and the world . The Peace Agreement of Colombia offers is a big opportunity to address solutions for the structural social and political problems of Colombia. This agreement has 6 points: 1. Integral Rural Reform to create institutions and infrastructure in rural areas where the war took place. 2. Political Participation to open democratic processes that avoid violent solutions. For example, as a product of the agreement the FARC is now a Political Party 3. End of the Conflict, to recuperate more than 20,000 weapons that will be destroyed by the United Nations, took to the ex-guerrilla members for opportunities. 4. Solution to the Drug Problem, the more important point is to find a solution to the global problem, which will reduce demand for cocaine from Colombia. 5. Victims and System of Truth, Justice, Reparation, and Guarantees of No repetition to create scenarios of reconciliation and 6. Implementation, Verification, and International Monitoring to be sure that is possible to comply with the agreement. In terms of the process of implementation of the Peace Agreement that includes special economic programs for the returning of the communities for their territories especially in the points 1 and 5; in Colombia, we do not start without any experiences. One example of how the communities returned to their homes after (or during) the war is the inspiring cases of Humanitarian Zones  and Biodiversity Zones . 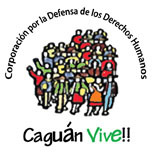 These experiences provide many examples of how to build alternatives from the communities to build peace in times of war and are based in the right to the people to live in their territories using the own government in the case of the Indigenous Peoples and Black Communities in Colombia, and the international human rights agreements. . In contrast, the new conservative government of Colombia that will start in August of 2018 holds a strong position against the Peace Agreement between FARC and the State of Colombia.. This position is explained by the links between the war, the drugs trafficking and the ultra-right position of the ex-president (2002-2010) and the current Senator of Colombia Alvaro Uribe Velez . According to newly declassified cables from the State Department of USA the former Colombian Leader Uribe and godfather of the new president, is tied to drug traffickers. In this context, the links are clear between the current administration and the internal armed conflict. This connection the Duque’s position against the implementation of Peace Processes, especially Point 5 of the agreement which calls for investigation and sanctioning of crimes by of all the actors in the war. In this context, why is there reason to hope? Initiatives like the Humanitarian and Biodiversity Zones have been working in the more radical context of the war in Colombia at the times of Alvaro Uribe Velez, that included a military doctrine that according to recent research , includes “approximately 10,000 civilians were executed by the army between 2002 and 2010 – more than three times the number tallied by human rights groups.”  In addition to thinking about the Indigenous Resguardos, which in Colombia are more the 30% of our territory especially at the Amazons, it is important to think about their more than five hundred years of resistance as a symbol of autonomy. Moreover, the Collective Territories of Black Communities, 10% of our country especially in the Pacific areas, is a memory of fighting for liberty and independence in Colombia for more than four hundred years. In conclusion, how does one begin to look for conditions to return to the land in the current Peace Agreement? First, it is true that with the new government of Colombia creates a difficult environment for the processes of peacebuilding, especially with the current killing of the social leaders and human rights defenders . However, if the government of Colombia rends the monopoly of weapons and justice, and gives real guarantees to social leaders and an the communities to return to the land, is possible to build a powerful peacebuilding institutions and infrastructure. Second, this infrastructure must be a negotiation and agreement process involving all social actors in Colombia, recover experiences like the Humanitarian Zones and Biodiversity Zones, establishing trust with a society that wants a second opportunity for peace. It is especially important that the new institutions support peacebuilding initiatives of the communities creating real scenarios of reconciliation. 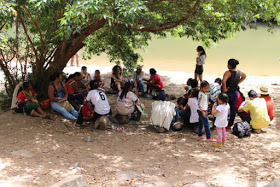 And tree, After sixty years of military conflict, the conditions to return to rural regions of Colombia requires the implementation of the 2016 Peace Agreement, including mediation between the communities and the new government that does not support the process. "To the people what is for the people." "Break the chains through unity." In July the new said “Facing Investigation, Ex-President Uribe Resigns From Senate in Colombia” https://www.nytimes.com/2018/07/24/world/americas/colombia-alvaro-uribe-resigns.html. However after one week of the announcement Uribe decided don’t be official the resigns.